Enjoy an afternoon of art making in the Education Studio! We always feature clay and watercolor, and every three weeks there are two new art projects to try. Visitors are welcome to drop in anytime between 3 and 6. Please allow at least 30 minutes to try all projects. All ages welcome. Adult companions required. 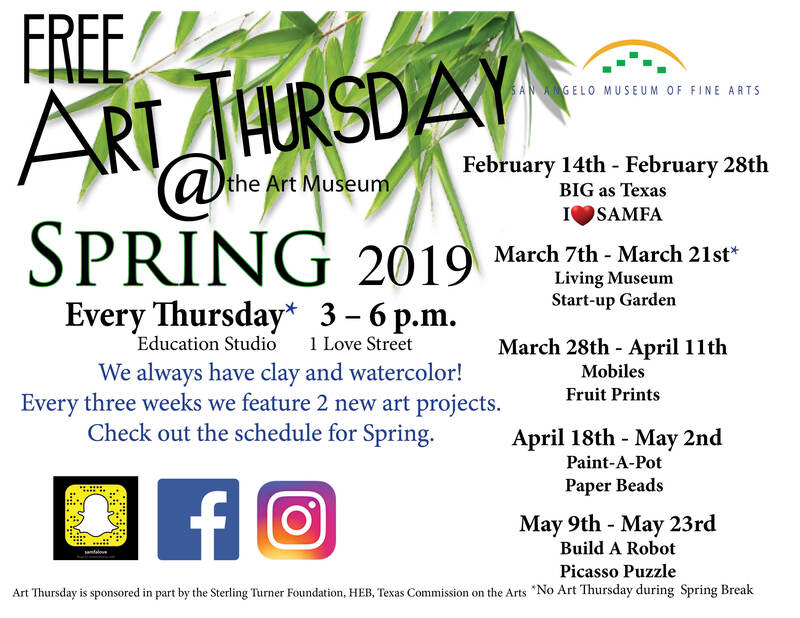 *There are no Art Thursdays the weeks of Christmas, New Year's Day, SAISD Spring Break and July 4th.